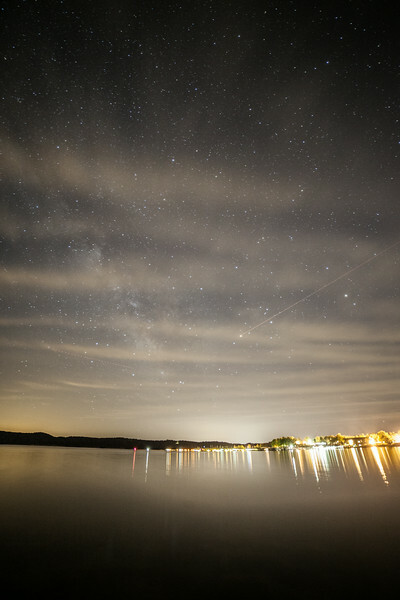 The Milky way get lost into the light pollution from the Fairfax marina at Monroe Lake (Bloomington, IN). Note the trace left by a plane on the right side of the image. Thin clouds were also present.